Sale!!! Up to 70% off for all products in this category!!! 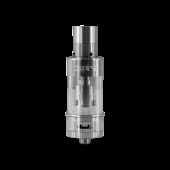 All of the features are identical to the Billow v2 RTA, its just shorter and holds 3.2ml of e-liquid. Second version of beautiful and one of the best RTA's on the market - Billow v2 Nano. Made by Ehpro & Eciggity. Authentic CiGreen Triple ABS box mod! 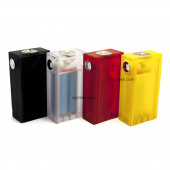 Mechanical box mod now available for three 18650 batteries! Updated switch and connector, silver plated flat contact surface for better conductivity. 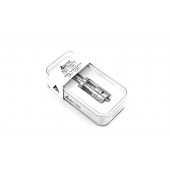 Aspire Atlantis replacement coil. 0.3Ω, 0.5Ω and 1.0Ω "Bottom vertical coils", allows you to vape between 20-80 Watts! 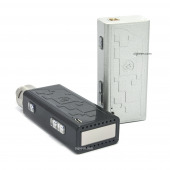 Hcigar VT40 is one of the smallest devices on the market, powered by genuine Evolv DNA40V5 chip! Comes with 1 year manufacturer warranty! Cigreen POM box mod - same design as ABS box! Updated mechanical button with very low voltage drop, 2 * 18650 battery. 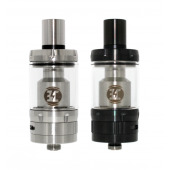 Newest Arctic Sub Ohm tank in the market, made of stainless steel and glass! Available with 0.2Ω and 0.5Ω "Bottom turbine dual coils", allows you to go up to 100 Watts! Hcigar box HB-MINI - Small and handy 7-30 Watt box mod. Based on original Hcigar chipset, produced in collaboration with Eleaf™. Powered by a 18650 battery. 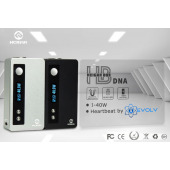 Hcigar box HB-DNA40 - genuine Evolv DNA40D chipset with temperature control protection! 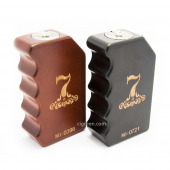 Cigreen Tank Crossing box mod (black) - Popular wood box mod in black paint! 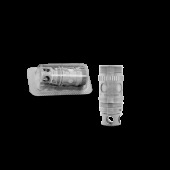 Mechanical button with very low voltage drop, 2 * 18650 battery. Cigreen Seven box mod - same parts as Tank Cross box mod! Mechanical button with very low voltage drop, 2 * 18650 battery. Authentic CiGreen ABS box mod v3! 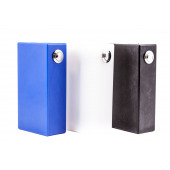 Mechanical box mod now available in clear, red, black and yellow colour! Updated switch and connector, silver plated flat contact surface for better conductivity. 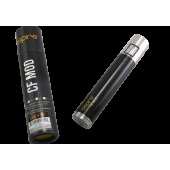 The Aspire CF MOD Battery series are high-end e-cigarette power systems. This battery series features stainless steel endpoints, a metal button, and a carbon fiber coated tube.